Resources for Getting Your Tech On! PBS LearningMedia provides the tools you need to navigate and succeed in the digital age of learning. To get started, explore this curated collection of technology-themed resources designed to enhance your lesson plans and spark discussion in the classroom. Topics include: 21st century learning, careers in technology, adaptive technologies, and using video games to enhance learning. And check out KQED’s online professional development modules to make media in your classroom. Hear about models and approaches to 21st century learning skills from experts in the education field. From FRONTLINE Digital Nation, this video explores discuss the hype and the hopes for improving education through technology. 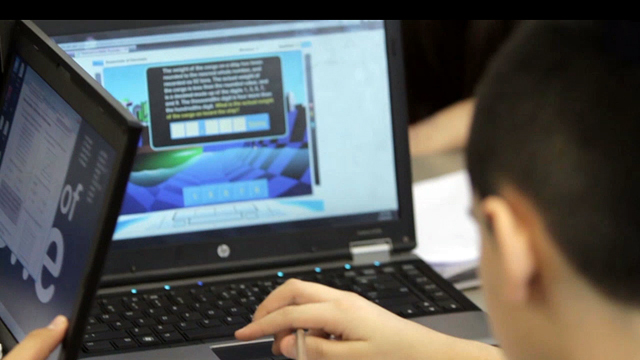 Hear from experts across the education field on the impact and application of video games when teaching concepts in mathematics. From at-home repairs to new businesses, from medical to ecological developments, 3D Printing has an undeniably wide range of possibilities which could profoundly change our world. Science demands sophisticated skills not generally taught as part of standard science curricula. For example the scientific community values collaboration and teamwork, critical and focused observation, the use of technology for data collection, evaluation of information, and communication skills. All of these skills can be cultivated through the use of media making projects. A good first-step media project to use with students is a narrated slideshow. Use this self-paced module to understand how to create a slideshow as well as the implementation of such a project in the science classroom. This self-paced professional development module will assist in the understanding of how to create a slideshow and implement a slideshow project in the classroom. Arts-focused slideshows can be used in visual and performing arts classes as a reporting, portfolio, or assessment tool, but they can also be used in other subjects, such as history and social studies, as a tool for understanding culture through art and artifacts. Student media projects, like creating a short science video, can be a meaningful way for students to practice deciphering media messages, doing research and communicating information with technology. This self-paced professional development module is designed to help teachers create a short science video and then implement a video project in the classroom. A good first-step media project to use with students is a narrated slideshow. Use this self-paced module to understand how to create a slideshow as well as the implementation of such a project in the science classroom. This self-paced professional development module will assist in the understanding of how to create a slideshow and implement a slideshow project in the classroom. Find out how real-world teachers are using PBS LearningMedia to inspire their teaching, enhance learning, and empower students. PLUS: take home a “how-to” guide for easy reference whenever you need it.